5925 ft (1806 m) . 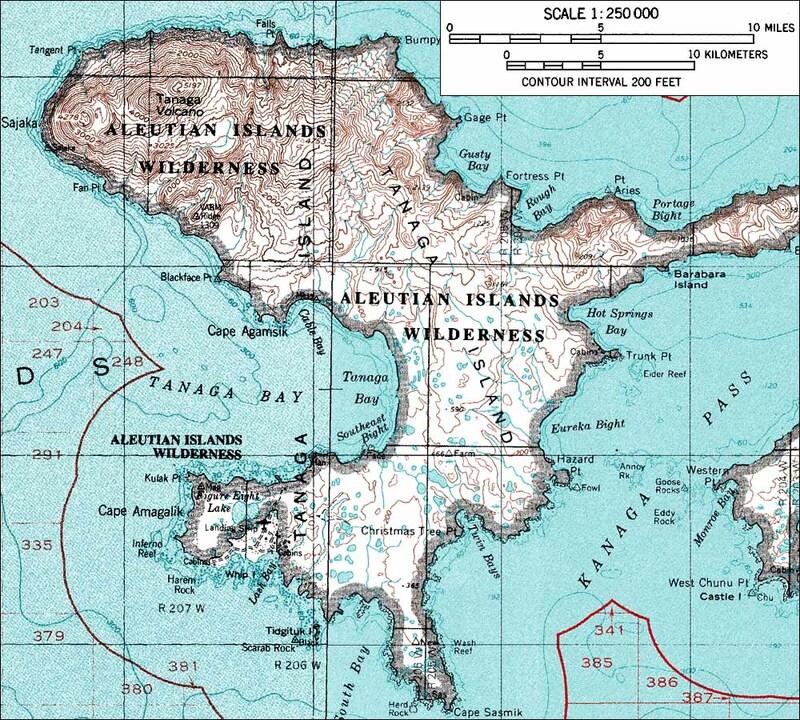 Tanaga Island is one of the larger islands in the central Aleutians, and it is crowned at its northwest tip by a small chain of active stratovolcanoes, Sajaka, Tanaga, and Takawangha. 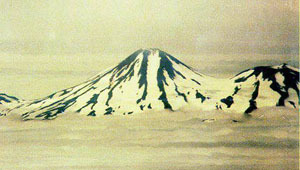 Tanaga Volcano, itself a double cone, is the highest of the three and the highest point in the western Aleutians. Tanaga has been historically active, with several eruptions since the mid-18th century. Numerous coves and bays along the coast of the uninhabited island should offer a choice of landing sites for any visiting party.